It’s raining beats. Well, sort of. That man-made cloud up there might loos like an art installation of some sort, but it’s actually an interactive lamp and speaker. Its name? Yep, you guessed it: Cloud. Designed by Richard Clarkson, the Cloud reacts to nearby movement and lights up to the beat of the music that you’re playing. Put Icona Pop on and turn out the lights, and you’ve got a thunderstorm of a completely different sort, right there in your room. This smart little creative lamp is replete with lights, motion sensors, microphones, and a powerful speaker system. A remote control allows user to set it to different modes, getting it to act like a simple thunder cloud, to respond to movements in its surroundings, or to respond to sounds or music that it hears around it. Soccer fever has gripped the entire world. If you’re one of the millions of folks with their eyes glued on the television every time there’s a match on, then you will be lemming for the Hotblack watch. It’s an analog watch with smart features built into its design that are geared towards the ultimate soccer fan. 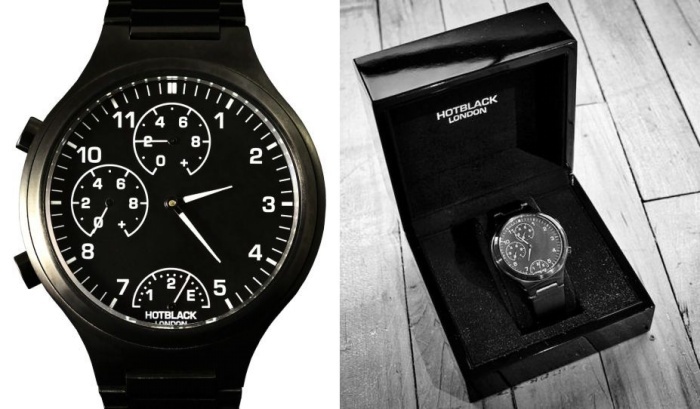 Aside from displaying the current time, the Hotblack has three smaller faces within its main face. The top two dials provide you with the live score of the current match (the top one being that of the team you’re rooting for, and the second one being their opponent), while the bottom dial shows the time remaining before the match ends. By Hazel Chua on 05/23/14 • Leave a comment! What do you look for in a pet? Some consider looks above all else, while others take note of activity level and the specific needs of the breed before making a choice. If you’re of the same mind with the former, then you’ll find the PetMatch app useful. It promises to help you find a pet that looks just like the one you had in mind. You could even use it to find a pet that looks like your old pet before he died and went to heaven. All you have to do is fire the app up and upload a picture of your desired pet or of your pet that just passed on, and the app will do the rest. 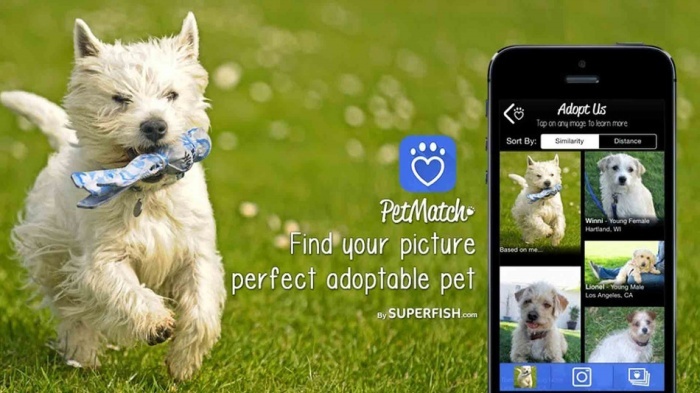 SuperFish, the parent company behind PetMatch, explains: “Our sophisticated algorithms (and our registered patents) allow us to analyze every picture and provide similar and near identical images in real time — no text tags, no human involvement.” Once a match is found, the app will send you info on where you can fetch your new companion. You can download the app on iTunes. Got some stuff in your fridge that you want to give away? Perhaps you’re going on a trip soon, but still have a lot of produce and fresh food in the pantry. Or maybe you’re thinking of changing your diet and have food that you won’t be eating anymore as part of that change. Don’t throw everything down the garbage disposal or let them rot and go to waste. Give your food away instead to people who might need or want them. 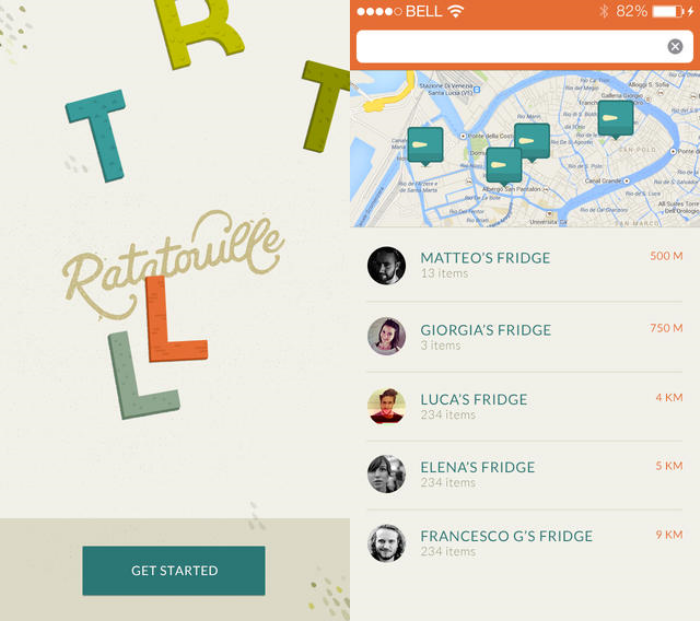 That’s exactly what you can do with Ratatouille, where you start by uploading an inventory of the stuff you currently have and want to get rid of. Good parking spots are hard to find these days. So much so that some people are willing to fork over money to secure a parking spot. 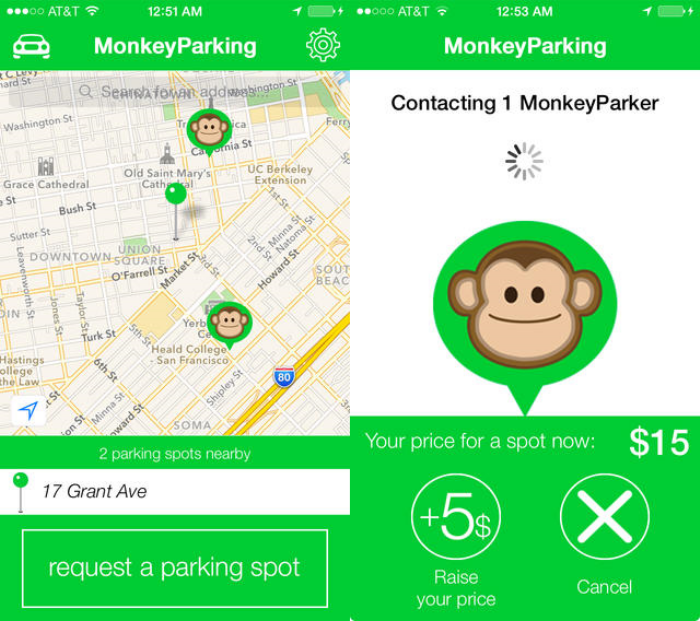 Case in point: the MonkeyParking app, which lets people auction off and bid on prime on-street parking spots in San Francisco. The interface is simple enough: just type in your current location, list your spot on MonkeyParking, and wait for someone to bid on your spot. If someone else does want your spot, drive away as they’re driving in to your parking space and wait for the money to be wired to your bank account. By Hazel Chua on 05/06/14 • Leave a comment! 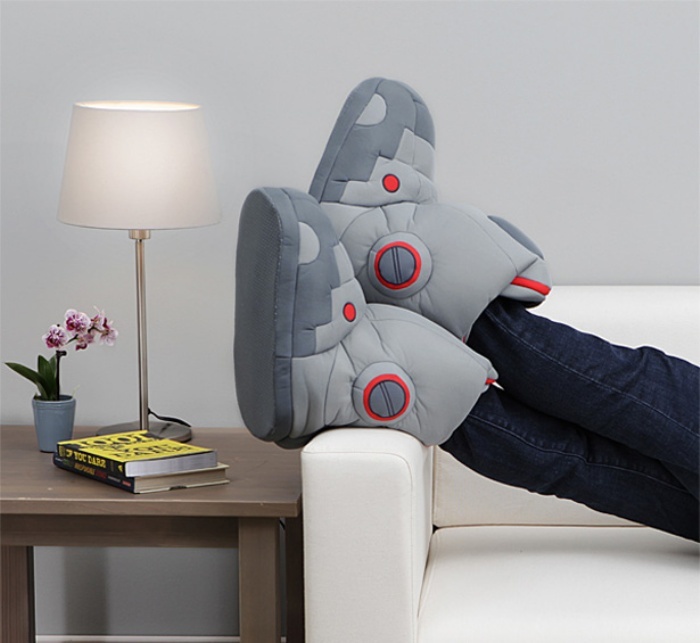 After a long day at work, there’s nothing like kicking those shoes off and slipping your tired feet into these plushy Giant Robot Slippers before fixing some dinner or chilling in front of the TV. Why go for these giant robot-inspired bootie-style slippers? Well, why not? They’re made to fit more average-sized adult feet and are as comfortable as slippers can get. By Hazel Chua on 05/05/14 • Leave a comment! If you’re thinking that this doesn’t look like your typical poster, then you’re spot on, because it isn’t. Beck’s playable poster is different in the sense that plays music when you touch it. It may look like a mere image of a speaker, but touch a couple of knobs and buttons and tunes from selected bands will begin to play. The posters were commissioned by Beck’s to promote New Zealand’s local musicians, and this is truly an innovative way of doing that. 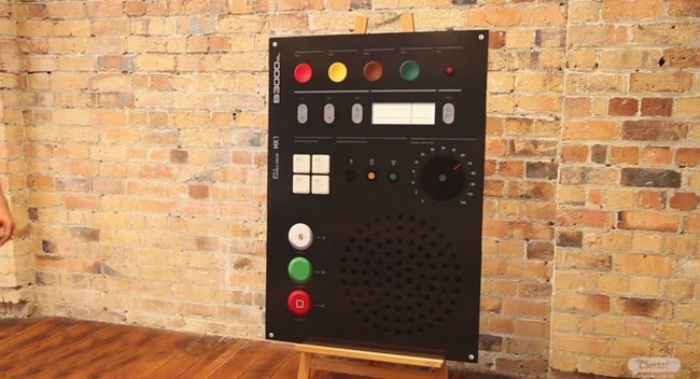 Beck’s playable posters use conductive ink, with parts of the surface linked to an embedded flat panel speaker at the back, which in effect, makes the poster a speaker in itself. By Hazel Chua on 03/10/14 • Leave a comment! Nothing beats pizza, fresh out of the oven. But waiting for the pie to be served can be a drag, especially if you’re starving and happen to be dining at a pizza place that’s filled to the brim with other equally-hungry diners. 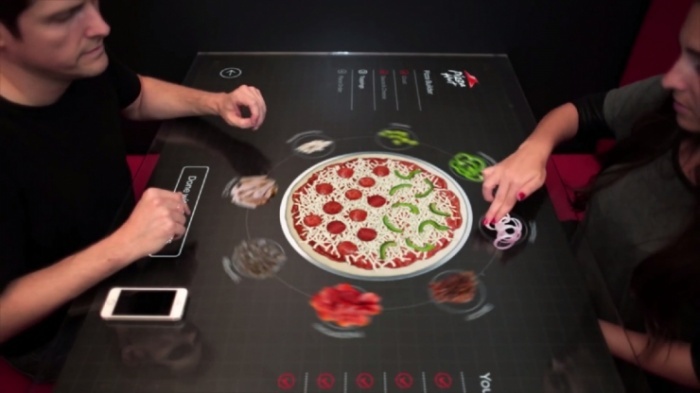 In a quest to make the ordering and waiting process less of a pain, Pizza Hut teamed up with Chaotic Moon Studios to come up with this concept for an interactive NFC-enabled table. It’s essentially a gargantuan, table-sized tablet that hooks up to diners’ smartphones via NFC. It transforms into an interactive menu where you and your companions can choose what toppings you want on your pizza. By Hazel Chua on 01/17/14 • Leave a comment! There are some questions that Google can’t provide the answers to–and for those questions, there’s Jelly. 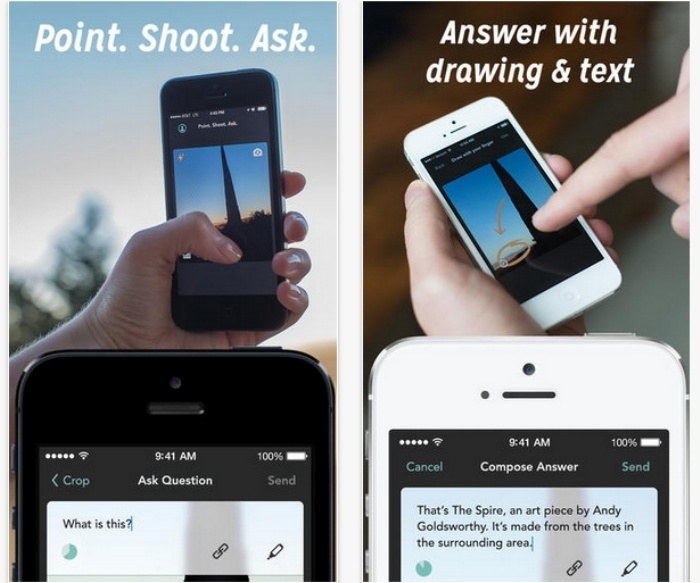 It’s an app that makes asking questions and getting answers more social, because it allows users to ask family and friends for answers instead. It’s best for questions that are framed with an accompanying image, as the app allows users to point, shoot, and ask about whatever it is they’re looking at. In case the person you’ve asked is just as clueless as you, then he or she can forward the question to another friend who might have the answers.